of the many hammocks and rocking chairs while watching the friendly iguanas. Oceanfront rentals at Beach House Incognito. Located just 2 kms. 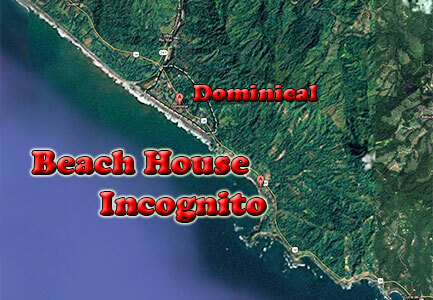 South of Dominical, nestled between mountainous rainforest and tropical beach, right on the Ocean. 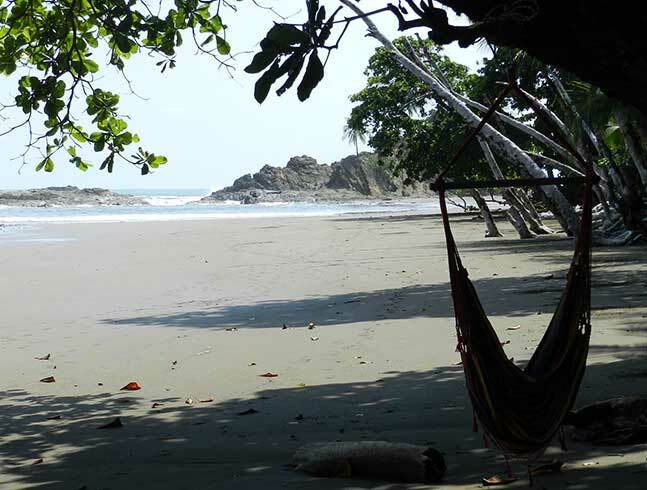 Dominical, Puntarenas, Costa Rica, Central America (south pacific coast, 30 miles south of Quepos/Manuel Antonio) Oceanfront rentals at Beach House Incognito. Located just 2 kms. 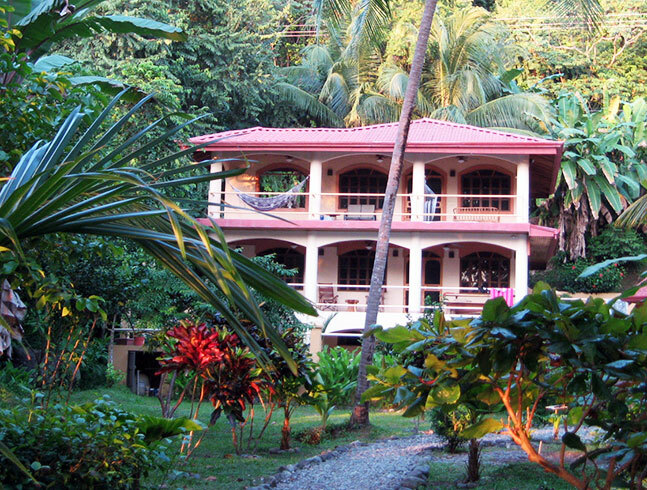 South of Dominical, nestled between mountainous rainforest and tropical beach, right on the Ocean. Enter and exit your oceanfront hideaway through an electric security gate that ensures your privacy. Choose from our large 2 story beach house that sleeps up to 6, with 2 bedroom, 2 bath, and 2 car garage. Or our 1 bedroom guest cottage with queen futon that can accommodate up to 4. 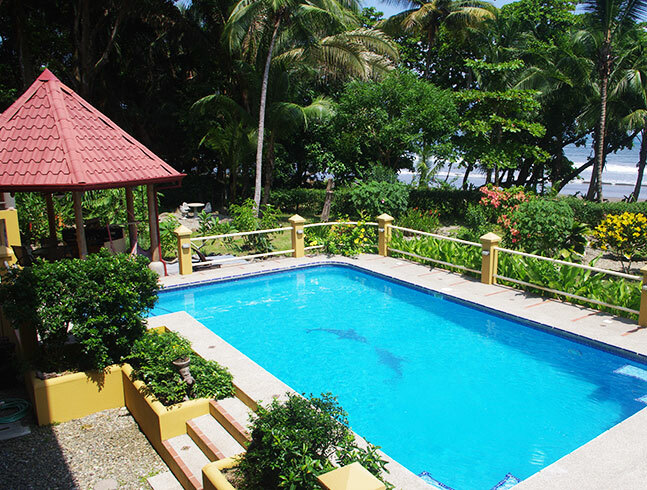 Just completed in late 2005, both beachfront house and guest cottage comes with every amenity you could desire to make your vacation a memorable one. Comfortable lounge chairs surround our large 18 by 36 pool for sun-worshippers, or if you prefer a shady spot, choose one of the numerous hammocks for reading, relaxing, or a siesta. The nearby rancho, with it's gas BBQ is perfect for outdoor grilling and dining, or just checking out the friendly iguanas. 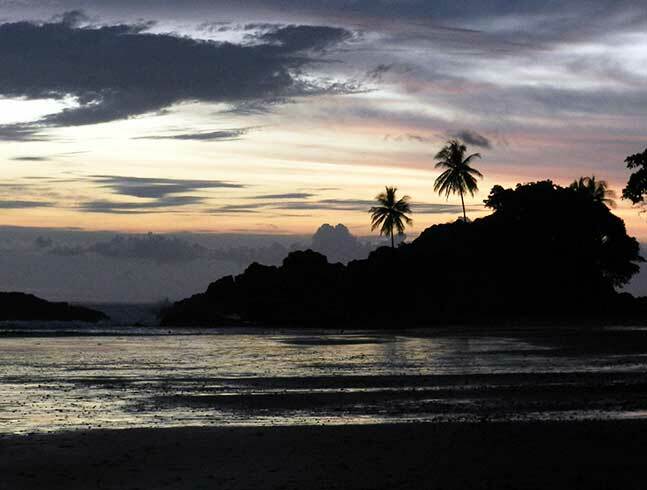 Enjoy incredible beach sunsets from your balcony or stroll the secluded mile long beach, shelling or searching out flocks of parrots, toucans, sloths or monkeys. View More Photos in our Media Gallery. © Beach House Incognito. All Rights Reserved.